Hard Money Lenders California | Crawford Park Financial Inc. It can be a difficult time to be a property owner. For example, some people may need to renovate their properties, but they will need a large sum of money to do so. The traditional lenders are not necessarily able to lend money to everyone who walks through their doors, and people are not necessarily willing to go to the less conventional lenders. These people have a choice if they own real estate in the Los Angeles or San Diego areas. Crawford Park Financial is a lender that can grant people a loan based on the worth of their property. 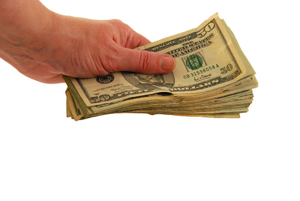 Hard money lenders CA offer real estate owners a sum of money that is secured by the property. These loans are high-risk for hard money lenders CA, so people can expect to pay an interest rate that will be a little higher than they would receive from a traditional lender. However, these loans give people who are having difficulties obtaining the money they need from other sources another option. Who Is a Good Candidate for a Hard Money Loan? A hard money loan is an excellent choice for those who are in a difficult financial situation and may not qualify for a bridge loan. Specifically, those who have defaulted on their mortgages are good candidates for this type of loan. If their lenders have initiated foreclosure proceedings against them or they are going through a bankruptcy, they are also wonderful candidates for this loan. Applicants for a loan can expect hard money lenders CA to be interested in conventional criteria, such as their credit scores and their income. However, the main criterion is going to be the value of their property. The amount of money they will be able to borrow will be based on the property’s value, and this means that they may be able to borrow as much as 70 percent of this value. If a hard money loan would be the answer to people’s prayers, they only need to contact Crawford Park Financial or fill out the simple contact form on their website. They will only need to enter their names, email addresses, a subject and a brief message, and the lenders will contact them to help them out of their difficult situations. For updates about upcoming offers or more advice, please fill in your email below.